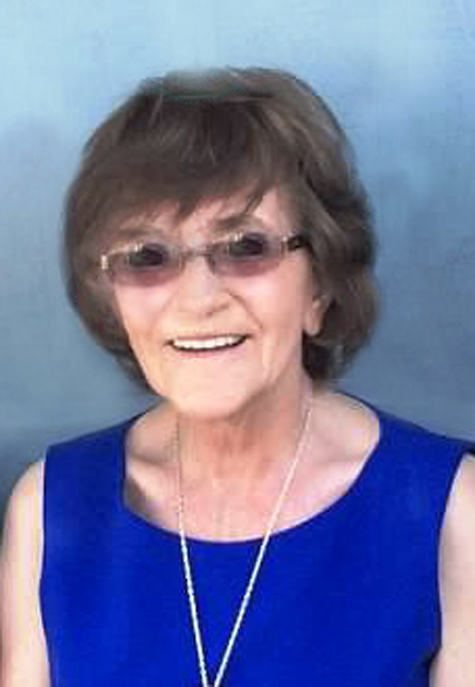 Terrie Ludeen Marie Swanston, age 73, of New Salem, passed peacefully, surrounded by her children late in the evening on April 3, 2019 after a short but tough battle following a sudden, catastrophic stroke. Mass of Christian burial will be held at 10 am CST on Thursday, April 11, 2019 at St. Pius V Catholic Church, New Salem, with Fr. John Guthrie celebrating. Burial will be at Sunny Slope Cemetery in Mott. Visitation will be held from 1 to 2 pm CST on Wednesday, April 10, 2019 at Elm Crest Manor, New Salem, and continue from 5 to 8 pm CST at St. Pius V Catholic Church, New Salem, where a Parish Vigil will be held at 7 pm CST. Visitation will continue one hour prior to the service at the church on Thursday. Terrie grew up on the family farm 18 miles north of Mott, ND, one of four children to Earl and Wilhelmina (Messer) Swanston. Her childhood and early adulthood were on the family farm, revolving around her parents, her three siblings, and her friends in this wonderful small town and farm community. From her parents, she learned and embraced putting others before herself and the benefit of hard work, both values which would center her for the rest of her life. Terrie wed Donald Boehm, also of Mott, in October of 1966, and took immense pride through the rest of her life focusing on nurturing their ever-growing family as Don’s job with Bell Telephone took them to different assignments from Wahpeton, Mott, Hettinger, Flasher, Elgin, and finally New Salem in 1977 where she saw all six of her children graduate high school. Early on, she also tried her hand at different job opportunities from Avon, to running the local arcade, and several customer service jobs around town to scratch an entrepreneurial itch. As the years went on, out of necessity, she began working full time, sometimes working two jobs, as she focused on providing for her kids. She championed through the adversity that life can bring, including terrible illness, the loss of both of her parents, and the contemporary struggle of divorce, while never losing sight on care of her kids. As a result, they blossomed. Never slowing down, in 2007, she started working as a CNA at Elm Crest Manor Nursing Home in New Salem, becoming known for the care she provided to the residents and the unmatched work ethic she demonstrated in her job every day providing that care. “I have to show these young girls that I work with, how it’s done.” She developed a reputation and became known for setting this example, despite doing so while in her 60’s and early 70’s. It was hard work, but she loved her residents and they loved her. Terrie was most proud of her 6 kids and 20 grandchildren. She also took considerable pride in paying off her home and in reaching the point where she could begin slowing down over the last few years. Tragically, God called her home as she was settling in on this change. Terrie is survived by three siblings, Coleetta (Lyle) Luchsinger of Mandan, Curtis (Darlene) Swanston of Mandan, and Patricia Swanston of Portland, OR; her six children and their families, COL (R) Shannon (Jeri) Boehm of Bismarck and their children, Cassandra and Jacob; Suzann (William) Schafer of Bismarck and her children, Evan, Allison, Ansen, Elena, and Andrew; Donald Jr. (Tammy) Boehm of New Salem and their sons, Jack and Max; Tanya (Dale) Ponzer of Lincoln and their children, Ben, Cole, Jordan, Alicen, Logan, and Christopher; Robert Boehm of New Salem and his children, Isaak, Ian, and Amelia; and Reese (Heidi) Boehm of Washburn and their sons Ellis and Ira. Terrie was preceded in death by her parents, Earl and Wilhelmina Swanston. God bless, Terrie. Your love and care for others was immense, knowing no bounds.